It is often said that a picture is worth 1000 words. This one is worth 1000 more. With a full blown smile future Hall of Famer Tris Speaker looks out onto the greenery of Griffith Stadium as a Washington Senator in 1927. Prematurely gray at age 39, eyes surrounded by labyrinths of crow’s feet, and staring squarely at the end of his playing career there remains an undeniable air of joy in his countenance. On display is the essence of the Opening Day paradox where the thrill of annual renewal comes amid the brutal reality of time marching relentlessly onward. The back-story is important. Tris Speaker was in Boston for the 1912 World Championship when he was named American League MVP. His defensive skills in Center Field were legendary. Not endowed with great power he nonetheless was a doubles machine cranking out an average of 36 per year. Traded to Cleveland for refusing to take a pay cut in 1915 he became the Player-Manager in 1919. A World Series championship came in 1920 when he created the platoon system. His career would have ended there but for a scandal. In 1919 allegedly Speaker, Smoky Joe Wood, Dutch Leonard, and Ty Cobb fixed the final game of the season. Cleveland was firmly in 2nd place to the White (Black) Sox. But, Detroit was trying to get 3rd and the bonus money that came with it. Cleveland wouldn’t give their best. Side bets were ordered. Fast forward to 1926; Cobb, then Player-Manager for the Tigers sent Leonard back to the Minors. Dutch’s revenge was to bring the 1919 affair, complete with incriminating documentation to Ban Johnson, the American League President. Johnson ordered Cobb and Speaker to resign from their positions. But, the Commissioner of Baseball, Kenesaw Mountain Landis wanted none of it, telling a friend that baseball before 1920 was a gambling nightmare. Unwilling to ban-for-life two of the game’s biggest stars he declared the players to be innocent. Then he unilaterally instituted a five-year statute of limitations on gambling allegations. The players were free agents. Cobb signed with Connie Mack in Philadelphia. Speaker retired, then changed his mind signing with Washington for $30,000. So Speaker arrived in town being certainly aged, but arguably damaged goods. He may have viewed this one year in Washington as a chance to erase the stain the off-season proceedings had placed on him. It could have been the desire for one more payday. Or he may have wanted one last chance to be out there in the field on a daily basis. Pick any combination or all three. The fact was that this would be his last full-time season and everyone in the game knew it. The 1927 Senators was a fine team. Their only problem was that 1927 Yankees was an amazing team. Washington went 85-69. But, it was a full 25 games behind the Yankees at 110-44. New York’s run differential was a staggering Plus376. Speaker started 141 games with 119 of those in Center Field. As difficult as it is to imagine, a 39 year-old was the primary Center Fielder on a winning ball club. His batting skills were still there as he hit 43 doubles, batted .327, and produced 3.6 WAR. As last full seasons go, it was pretty darned good. With all the data in tow there’s still that smile to process. Baseball is a game of youth. At its very heart is the notion of youngsters taking to the fields to play. Performed at the highest level in urban centers the “Parks” are an oasis of green among an expanse of concrete separated by asphalt. Assembled patrons at any given game run the full age spectrum. The young dream while the old reminisce. The players they watch on the fields and dugouts have a career age spectrum also. But, those at each anchoring end are no different from those in the stands. Baseball is constructed with pieces/parts of dreams and reminisces. One day stands apart; Opening Day. Even the most woeful of teams fills the stadium for that one day. It’s not about dreams or days gone by. It’s about NOW. A long winter’s absence has finally found the rear view mirror. The most quotidian of games will fill the calendar for months to come. The weather reality of the Mid-Atlantic is digital. By the end of summer it’s hard to remember wearing anything but short sleeves. The end of winter brings the same reaction when suddenly looking at one’s bare arms. So too it is with baseball. It’s either here…or it’s gone. The void it leaves in autumn is palpable. A typical team will have something near 510 hours of game time over the course of a season. Professional football teams produce only 1/10th of that. Baseball fills a lot of space in the committed fan’s life. Come Spring the return of the game is a cause to celebrate. The dark months are over. Let the word go forth: The game has returned. Opening Day transmits one other message that is deeply buried in the far recesses of the consciousness: Whether in a uniform or in the stands, one only gets a limited supply of these. It’s best to make the most of them. The rituals of spring tend to focus on new life emerging from the ground while ignoring that the plants are nurtured by the decay of botanical predecessors. On full display, if one looks for it is the cycle of life. Soon to be buried by results, trends, and a collection of emerging narratives Opening Day provides the closest thing to a blank slate the game produces. Much like the ability of an infant to captivate a room full of adults the complete newness of the season demands attention. 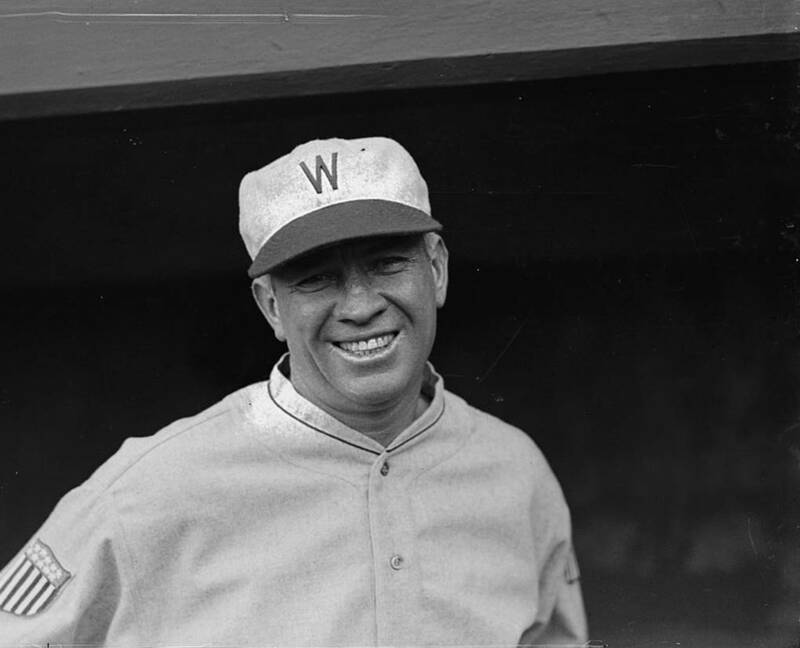 After a heaping dose of anticipation, we will all be watching with the same toothy smile Tris Speaker displayed all those many years ago. Our great friend, the game of baseball has come back to us. It’s time to celebrate!